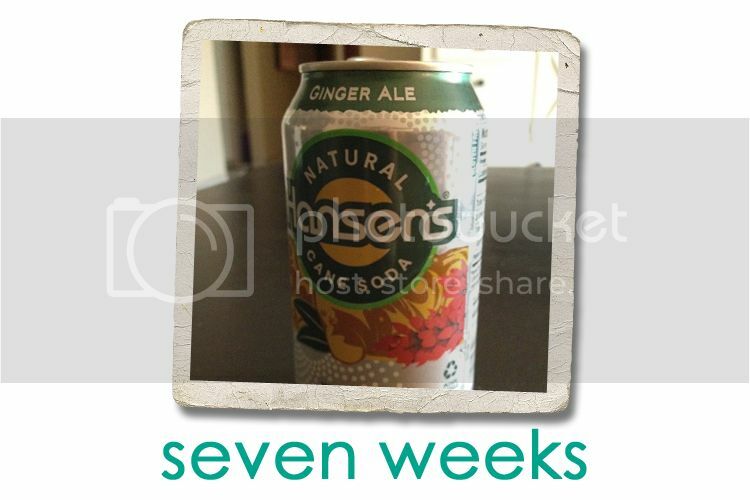 Jordy Liz Blogs: Seven weeks. The nausea hit hard last week and wasn't so much off and on like it had the week before. It was on. It is ever-present, always there, always fighting me when I just want to eat what I want to eat. But I don't know what I want to eat because nothing sounds good. In fact, I've eaten the same exact meal at two different restaurants for two lunches in a row - a half chicken salad sandwich and bowl of potato cream cheese soup. I've learned that if something sounds good, I better just eat it right then and right there, because I don't when that clarity will come again. Your dad has been patient through all of this, thank goodness. The other night we had a date night planned and all I wanted was a grilled cheese. We picked our place based on which grilled cheese sounded the best and he just went with it, never saying, "Can't we just make a grilled cheese at home?" Even though I was saying, "Why can't I just eat a grilled cheese from home?" My pregnant brain has little reasoning lately. Three days later, I wanted absolutely nothing to do with grilled cheese - or cheese - whatsoever. I even made a big batch of buttered noodles for dinner and wasn't sure if I'd make it past boiling the water. Thankfully, the Olympics have been taking up our evenings so I have an excuse to curl up on the couch with a pillow, a blanket and your dad and not get up for hours. Literally. I love looking through my different apps to see what size you are and hold up the measurement with my fingers. I had blueberries in a fruit salad the other day and I held one up to your dad and said, "This is the size of the baby!" It was so very small and it such a miraculous thought to realize how something so small is such a grand creation. I keep catching myself thinking ahead through the year and remembering you will be a part of us, a big part of us. I imagine our trip to California in October for a wedding, wondering what I will wear with a bump. I look forward to our visit back to California for Thanksgiving, taking family photos with you in them, in me. I am excited for Christmas - the first time I get to go to my home for Christmas in five years - and how very exciting it will be at six months along. I am looking forward to next week at eight weeks along. It seems like a milestone - two months in. Until then, we're praying for you and loving you.